These 30 Tube Solar Collectors are our main seller, they met CSA and SRCC certification. They are suitable for both residential and commercial applications. They qualified for one of the highest rebates possible for commercial solar installations due to the high heat output. These 20 Tube Solar Collectors are our main seller, they met CSA and SRCC certification. We are the Distributor of SunRain Solar Vacuum Tube Collectors. 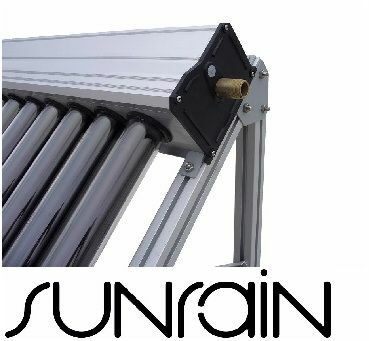 SunRain is the Worlds largest manufacture of vacuum tube collectors and is the Original Equipment Manufacture (OEM) for North American Companies such as SunMaxx and Silicon Solar. SunRain Evacuated Tubes are the highest performing solar vacuum tube collectors in North America according to published ratings at the SRCC Solar Test Facility. Solar Vacuum tubes are ideal for applications such as solar hot water and space heating in Northern Climates. They are also ideal for solar pool heating applications as they can heat the pool even durring periods of cloudy conditions. The solar evacuated tubes provide heat energy even when the temperatures are -40. Our solar water heating kits can be used to harness the suns energy and turn it into free hot water for your home or business. We only supply high quality, high power solar vacuum tubes as it is these type of collectors that are perfectly suited to the Canadian Climate and Northern USA and will produce very hot water even during the depths of winter. These solar evacuated tubes collectors are used for solar water heating in residential solar or commercial solar projects. Lattitude51 Solar Hot Water Collectors are being used on the largest Agriculture commercial solar water heating system in North America. One hundred 30 Tube Collectors are being installed on a farm for space heating (total of 3000 tubes). Modern evacuated tube solar water heaters capture about 94% of the suns rays. The systems are perfectly suited to commercial applications as well as to residential homes. This technology is well established all over the globe with millions of systems installed. See the actual heat produced --- on the live data link. This will show the heat produced by a solar water heating system in Calgary. (This will open a new window with the live data on - if it is daylight in Calgary!) This system shows a normal Residential Solar System. Make sure you compare the Max Power of any other collectors you find when shopping around. See the Solar School for more info. Our collectors test reports show a max power of 2200 Watts for the 30 Tube Collectors. If you have been looking for solar water heating systems, by now you could be overwhelmed with the amount of options available to you. Many people do not believe solar water heating can work in Canada as it is so cold in most of the country during winter. In fact solar water heating works incredibly well even during the -40 deg C days that are all too common in a lot of Canada. Even on these -40 Deg C days the evacuated tube collectors can reach temperatures of over 200 Degrees C, more than enough to boil water! How many BTUs can the collectors produce! - This is a question that is asked a lot. The answer is not that simple. It really depends on where you live. Anyone telling you "our collectors produce ???? 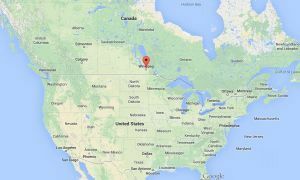 BTUs per hour" need to tell you where they are doing the test as it totally depends on the climate where you live. To help answer these questions and show you how the climate varies please read these articles. "How much energy do Solar Collectors produce"
"How solar collectors are affected by the climate you live in"
Most importantly, before you buy any solar collector from ANY company, you need to read this article. 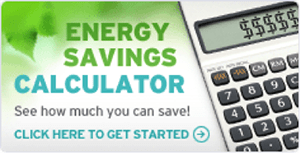 "How to calculate different power outputs of different Solar collectors"
There are many evacuated tubes for sale in Canada that advertise how many WATTS of power they produce, please make sure you read this "solar collector peak power" before making your decision. Evacuated tube solar collectors for solar hot water heating are in general, ideally suited to the Canadian Climate. This is because the "evacuated tube is essentially like the double glazing in your home. The double glazing helps your home stay warmer by keeping the heat in your home, it does a similar thing the evacuated tube solar collectors. This question gets asked a lot its not as simple as some people try to tell you. We wrote an article on this a while ago which goes into great length about some of the factors that affect the payback of a solar system. You can read about the solar payback here. However the payback will depend on where you live in the country and if you do the installation yourself. 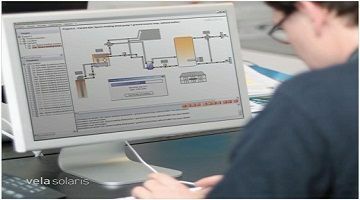 If you do the installation then the payback can be very good as the labor required to install the system can be a significant portion of the costs. For some applications such as solar swimming pool heating then the payback can be under a year if you install it yourself. It also depends how you heat your water, if you live in Alberta and use natural gas then the cost of natural gas is so low that the payback is not as good as if you heat the water with propane, oil or electricity. Anyway we recommend reading the article about solar payback here.